Step 1 Bring a large pot of salted water to boil (the water should be as salty as the sea). Add the pasta and cook just to al dente, about 3 minutes or according to package directions. Step 2 Drain the pasta in a colander, reserving one-half cup of the cooking liquid. Place the pasta in a large serving bowl. Toss the pasta with the olive oil, lemon zest and salt and pepper to taste. Step 3Add the shiso, chives, parsley and basil and toss to distribute evenly. Add the cooking liquid to moisten the pasta as needed. Season to taste with salt and pepper. Serve immediately. In Recipes-list.com we have selected the most viewed recipes from category - Main courses Quick and easy . Enjoy the best recipes specially selected for you! 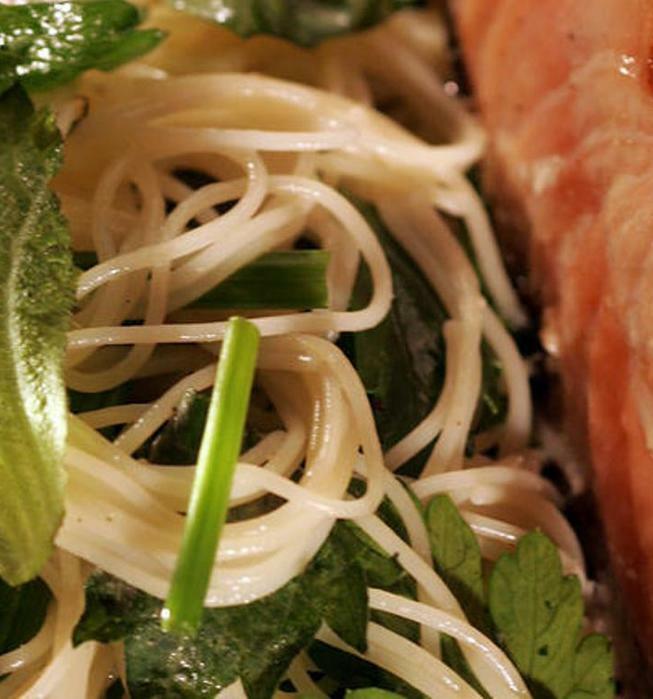 Angel hair pasta with fresh shiso-herb mix is the right choice that will satisfy all your claims.